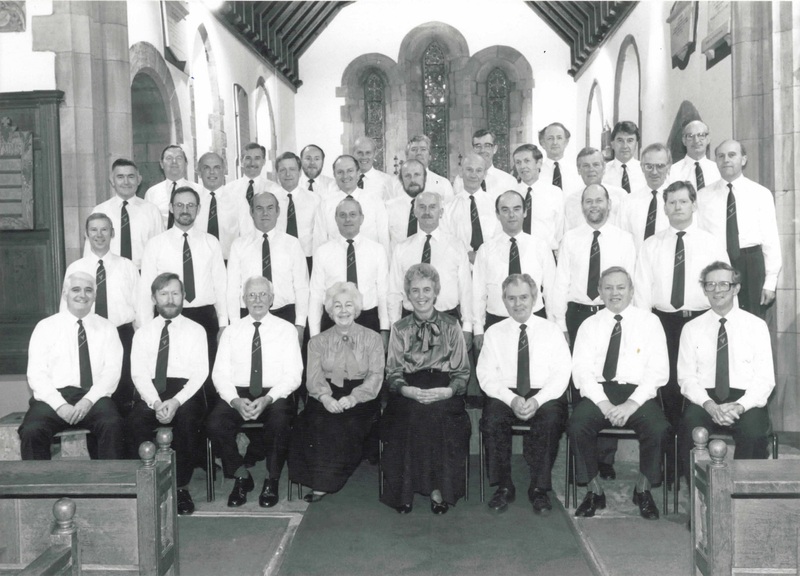 The Choir’s First Public Performance took place at Christmas 1984, when a group of men met in Dalston to sing songs around a piano, played by Hilary Hodgson. Although perhaps buoyed by the Christmas spirit, they felt there were the makings there of a good choir. Hilary, it seems, was less convinced or maybe the idea lost its radiance in the cold damp light of the New Year because it t ook the group until February 1985 to persuade her to take on the role of Musical Director. 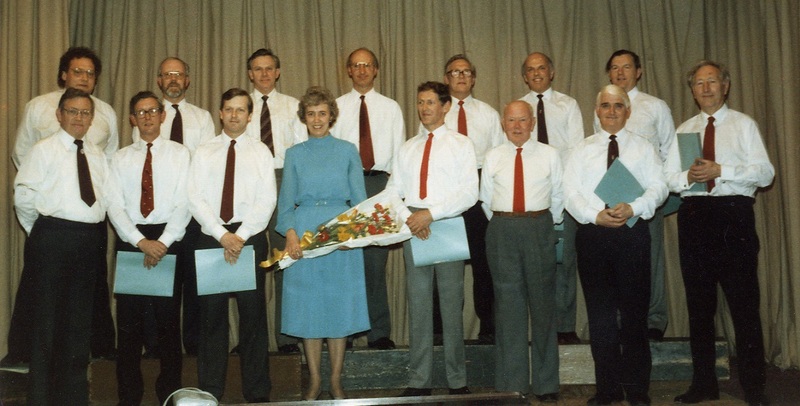 Nevertheless, they were ready to give their first public performance on 23rd March 1985 when they provided an interlude between two one-act plays presented by Dalston Amateur Dramatic Society in the Victory Hall. The three members whose names are in blue below are still active members of the choir. We are delighted that Hilary is now our Honorary President.